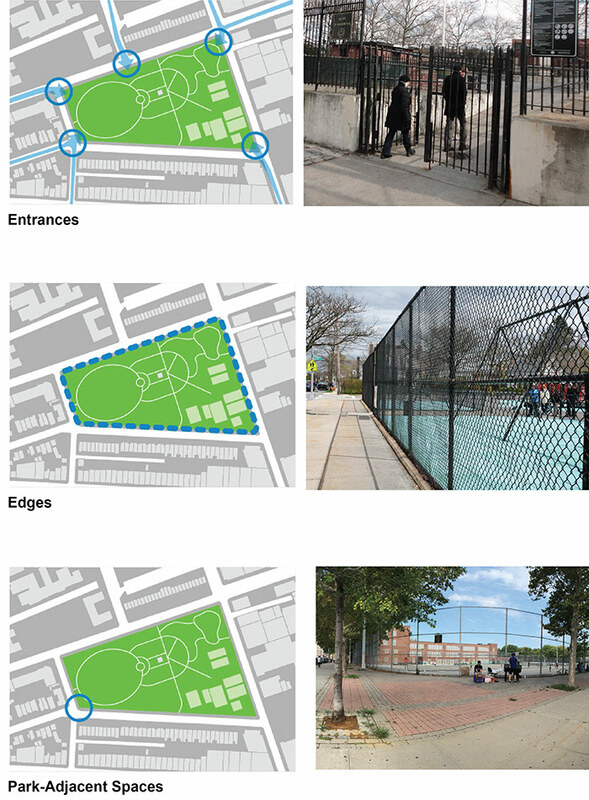 The Architect’s Newspaper is reporting live from the first Parks Without Borders conference at the New School today, where the New York City Parks Department is announcing the eight winners of its inaugural Parks Without Borders competition, a citizen-driven process to upgrade the nodes, edges, buffers, and “park-adjacent” spaces that form the boundaries between parks, sidewalks, and other public spaces. (Check out AN’s coverage of the competition, including an interview with NYC Parks commissioner Mitchell J. Silver, here.) Many parks have uninviting, block-long fences, poor wayfinding, or other barriers to entry that make them difficult to access. The city has allocated $50 million to refurbish the selected parks by softening their edge conditions; more than 6,000 nominations for 692 parks (over 30 percent of city parks) were made by individuals and community groups for the competition.